We have some extra info on this Rextag map for you. Power generators and distributors in New York and New England are chomping at the bit for more natural gas, not just volumes but new and expanded delivery lines. They are also frustrated by the political, structural, and economic impediments to increased transmission infrastructure. Much of the blame for lack of gas supply is laid at the feet of the state authorities to put new pipelines in New York state. 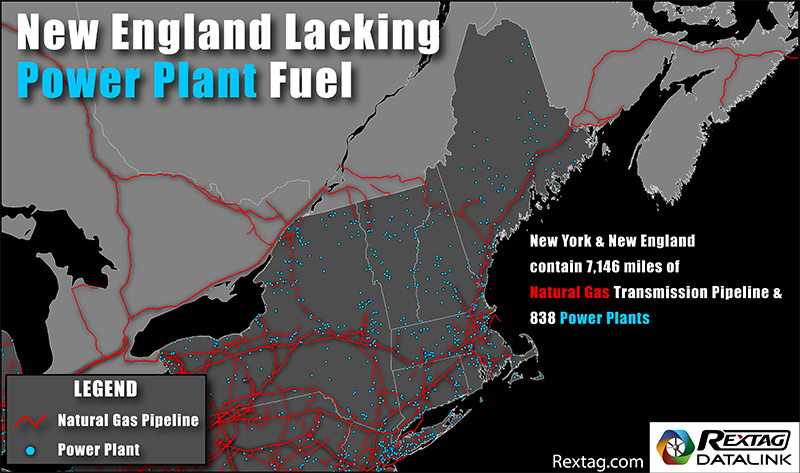 The challenges of getting gas into the region goes beyond alleged intransigence in Albany, but New York state’s geography is stark: gas in pipelines from the Marcellus, the Utica, indeed from anywhere else in the U.S., goes through New York state to get to New England.